Načisto su pukli. Sad će da pune i Evropu. 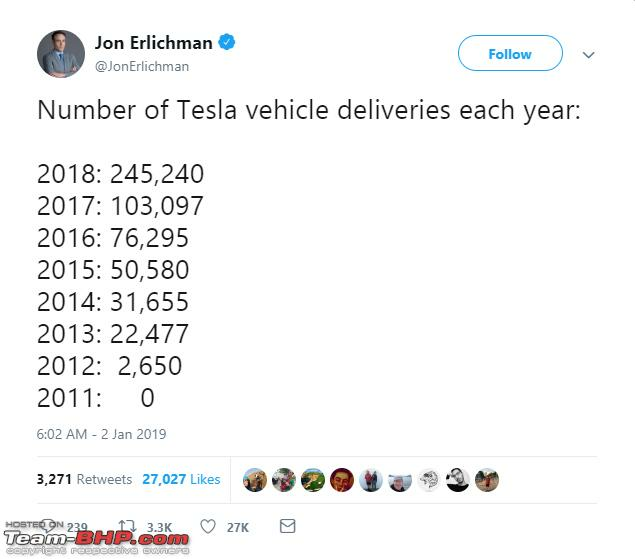 There are a lot of fun Tesla sales numbers to discuss this week. It’s gobbling up the luxury car market in the US. It broke a quarterly delivery record — by more than doubling it! It now has perhaps the 4th best selling car in the United States in terms of units sold and 1st in terms of revenue.